Athenry to Tuam is shovel ready and should progress without further delay. 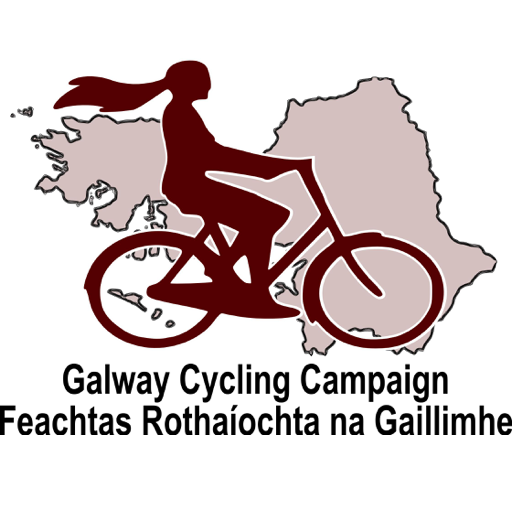 The Galway Cycling Campaign is welcoming the news that a delegation from Waterford is to meet Galway County Council to get the benefit of their experience with the recently opened “Deise Greenway” in Waterford. The Waterford greenway opened in March, is 45km long, and has been hailed as Ireland’s new “premier” greenway. The Waterford greenway was created by the conversion of a section of the now closed Dungarvan to Waterford Railway. Like the now closed railway line between Athenry, Tuam, Claremorris and Sligo the Dongarvan Railway remained in public ownership. Over recent years Waterford Council spent a mere €15m to upgrade it to serve as a walking and cycling route – a fraction of the cost of creating such a feature from scratch. A similar scheme following the disused railway between Mullingar and Athlone was also extended recently and one section is reported to have had 1,500 users in one day. Galway County Council’s attempts to impose greenways on private landowners along the Clifden-Galway-Dublin corridor have been a disaster for the brand of cycling and cycling tourism in Galway. Unlike Waterford or Athenry-Tuam there is no longer any equivalent disused railway available in Connemara or East Galway. When the old Connemara railway line closed in 1935 the line was either sold to landowners or incorporated into what is now the N59. It no longer exists as a coherent corridor. It will take some time to resolve the issues created by the flawed conduct of the Clfden-Galway-Athlone project. Minister Shane Ross recently promised a review of the processes used in that project. In contrast the Athenry to Tuam line remains in public ownership and there is strong community support in Tuam for the conversion of the line to a Greenway. In effect the Athenry-Tuam project is “shovel ready” and would allow Galway to get on board with creating a long distance cycling product. With this greenway extended to Sligo via Swinford it would be possible to create a branch linking with Knock airport. While a branch to the west could eventually link up with the Great Western Greenway from Westport to Achill.